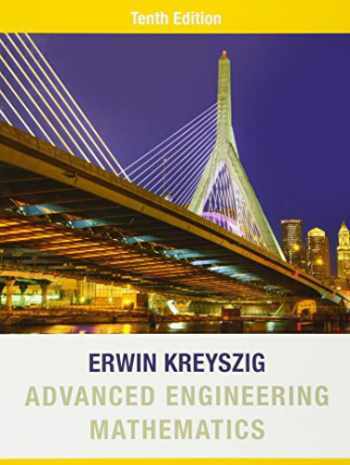 Acknowledged author Erwin Kreyszig wrote Advanced Engineering Mathematics comprising 1280 pages back in 2011. Textbook and etextbook are published under ISBN 0470458364 and 9780470458365. Since then Advanced Engineering Mathematics textbook received total rating of 4 stars and was available to sell back to BooksRun online for the top buyback price of $74.17 or rent at the marketplace. Advanced Engineering Mathematics, 10th Edition is known for its comprehensive coverage, careful and correct mathematics, outstanding exercises, and self-contained subject matter parts for maximum flexibility. The new edition continues with the tradition of providing instructors and students with a comprehensive and up-to-date resource for teaching and learning engineering mathematics, that is, applied mathematics for engineers and physicists, mathematicians and computer scientists, as well as members of other disciplines.